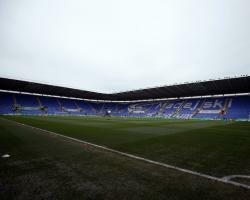 The change in ownership was announced on Tuesday evening, shortly after the Royals had booked their place in the Sky Bet Championship final at Wembley with victory over Fulham. The Dais - brother and sister - now hold a 75 per cent stake in the Berkshire club, with the remaining quarter retained by the Thai consortium led by Lady Sasima Srivikorn. While welcoming the takeover, the EFL stressed it would continue to monitor the financial aspect of the deal. "Following a full review of the transaction, the EFL has insisted upon - and the club/new owners have agreed to - a number of additional reporting requirements including enhanced financial monitoring, so as to ensure that their performance is consistent with the application we have considered. "We would like to wish the new majority shareholders Mr Yongge Dai and Miss Xui Li Dai the very best of luck in their future endeavours with the club." The Royals were last in the Premier League in the 2012/13 campaign, and hopes are high of a return to the top flight under the guidance of Dutch manager Jaap Stam.